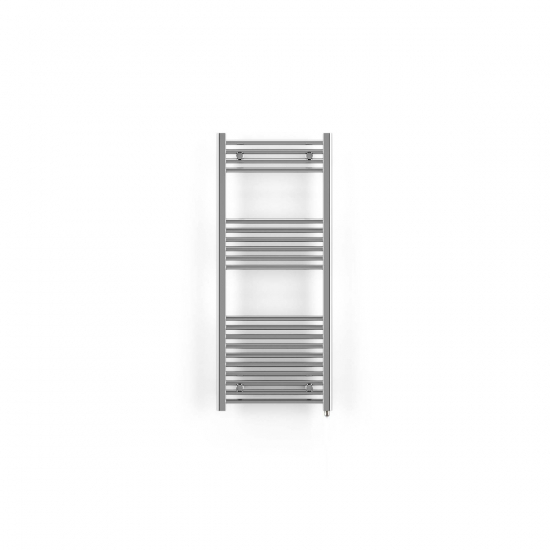 This Terma Leo SIM electric towel rail has a 300w output for effective bathroom heating in areas up to 3.5m². With its elegant chrome finish and classic aesthetic, this versatile heater will be a great addition to any bathroom or wet room. The Terma Leo SIM Electric Towel Rail is a simple yet elegant bathroom heating solution with its classic straight bar design and attractive chrome finish. Our 350w version of the Leo SIM provides practical towel drying and can also provide effective heating for bathrooms up to 3.5m².